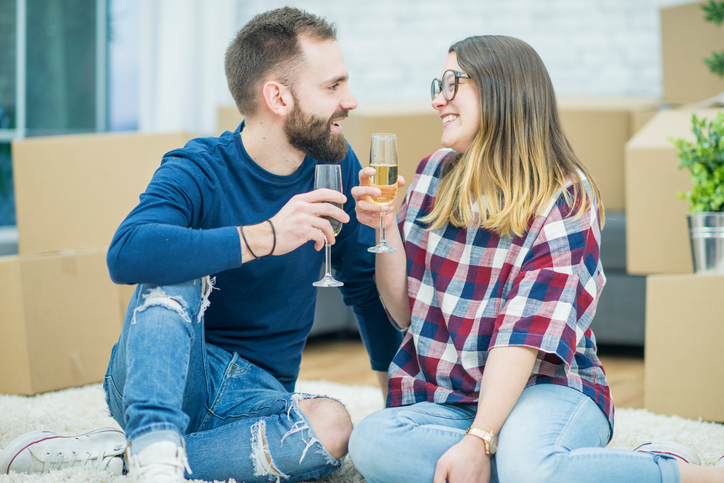 More and more millennials are buying homes, representing around 45 percent of all purchase loans, and most first-time millennial home buyers are on a limited budget. While you may not be able to find the perfect home that checks every box on your “dream home” list, you can find a great starter house you can improve on or add to over time. As you hunt for your first home and make the big purchasing decision, make sure your checklist of new home essentials includes the following seven musts. Not only is energy efficiency trendy, but it also saves you money on your power bill and reduces your carbon footprint. When viewing homes on the market, look for energy-efficient features like double-paned windows, solar panels, attic insulation, LED lighting, and ENERGY STAR® appliances. When you move in to your new domicile, invest in the Nest Learning Thermostat, which helps save you money on your energy bill and allows you to control your house’s temperature from your phone. Moving from an apartment to a home means more room, so celebrate with an entertainment space. Equip a portion of your living room with a comfy couch, a big screen TV, and a stereo system. Don’t forget a TV package and a streaming stick to access your favorite channels, such as HBO and Starz, and streaming services, including Netflix and Hulu. Trust us—your friends will thank you, and your home will be everyone’s favorite hangout. A smoke alarm and carbon monoxide detector should be on every level of a house, especially near bedrooms. While walking through homes, check to see if a property has up-to-date smoke alarms and carbon monoxide detectors. You may want to install smart versions, like the Nest Protect, a stylish and sleek smoke and carbon monoxide alarm. The system checks its batteries and performs silent tests on a regular basis so you don’t have to. Burglary rates have been steadily increasing over time, but installing a security system can help you feel safer and protect your new home. If you buy a house that doesn’t have a home security system, you can easily install the necessary equipment with options such as the Scout Home Security System. You can connect a door panel, access sensor, motion sensor, video camera, and more depending on your needs. Whether you like it or not, owning a home comes with a lot more responsibility than renting. You’ll occasionally spend weekends and afternoons fixing something or working on a home project. Even though just about every project type is available on the internet, subscribing to a home improvement magazine, like Better Homes & Gardens, serves as a homeowner’s initiation to all house-centric projects. Along with tips for home maintenance, you can also find inspiration for your next project in the leaves of these handy prints. No, we’re not back in the 1960s. Wallpaper is back and trendier than ever. If you find a home with wallpaper, don’t leave screaming. Depending on the style, you may be able to make it look modern. Or, if a room is boring and you aren’t sure how to spruce it up without breaking the bank, try a modern wallpaper trend, such as a marble pattern. If you aren’t sold on the idea, try temporary wallpapers that are easy to remove. Greenery is one of the biggest home décor trends, so bring the outdoors inside with houseplants. Not only do they clean the air but they’re also inexpensive ways to decorate a room and brighten up even the darkest of spaces. For a small room, decorate with a tall cactus or fiddle leaf fig tree to make the area look bigger. Don’t have a green thumb? Try a faux plant, which only requires occasional dusting. These must-haves are just a few to add to your checklist for an ideal dwelling. Think we missed something? Share what other essentials you think should be on every millennial’s new home list. How do I get a home buyer checklist or how do I make one of my own? I’d like to start looking at homes but I need a frame of reference to see how the different properties stack up. We are looking for a retirment home.